A Little Elf will soon be arriving to a shelf near you! We're not ones to skip over holidays such as Thanksgiving, we're more inclined to milk holidays for all that they are worth around here. However, with all this Christmas music on the radio already it got us daydreaming about our little Elf on the Shelf. Whether it's in our classrooms or our homes, our elves make their debut right after Thanksgiving each year so that we can relish in all the holiday fun! So we thought we would help you out with a FREEBIE and a giveaway. It's never too early to start gathering those stocking stuffers and unique gifts, so be sure to go to the end of the post and enter into our Catching Fireflies gift certificate giveaway for a chance to win a $43 gift certificate. Be sure to leave us a comment letting us know your favorite product from Catching Fireflies. We just love the tradition of The Elf on The Shelf, and each year we try to come up with new and fun ways to keep it fresh. 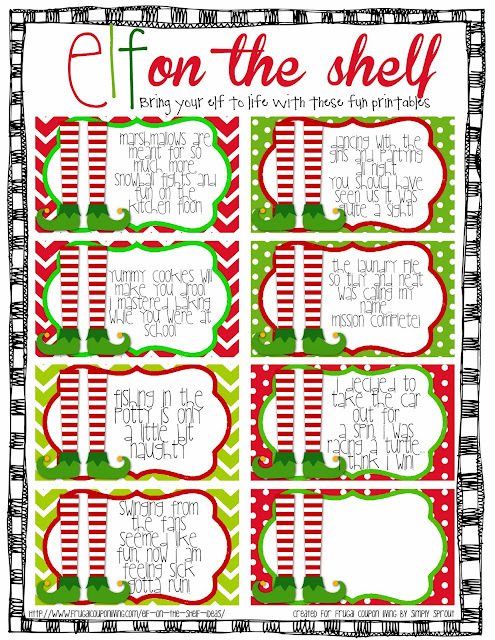 We hope you will give our little cards a try with your elf, use the blank one to add your own text. 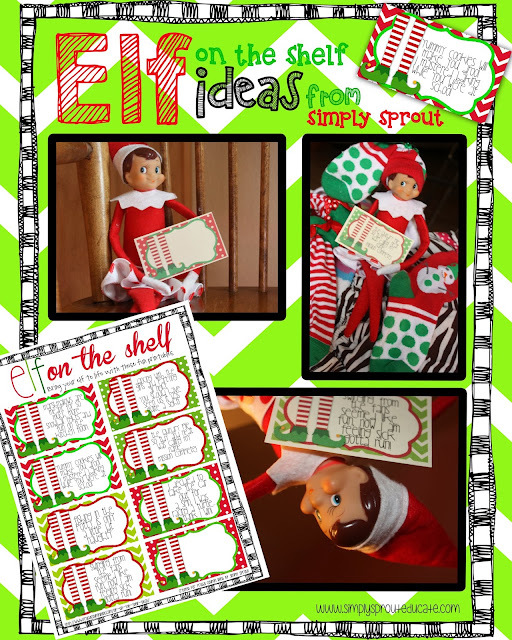 Be sure to see our friends at Frugal Coupon Living to see this and more ideas to bring those elves to life!